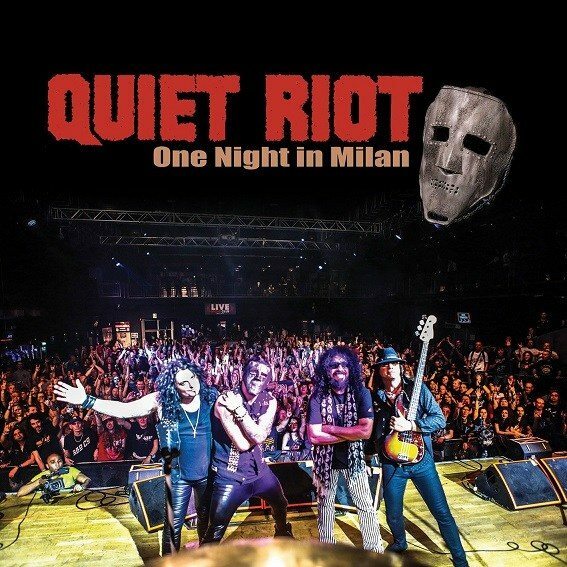 QUIET RIOT "ONE NIGHT IN MILAN" LIVE! #37 IN THE BILLBOARD CURRENT HARD MUSIC ALBUMS CHART! #47 IN THE AMAZON BLU RAY RELEASES. #100 ON THE BILLBOARD INDIE CHARTS. CONGRATULATIONS TO THE BOYZ WHO MAKE THE QUIET RIOT NOIZE! KING"S X boards 2019 Monsters Of Rock Cruise! Please welcome King's X to the 2019 Monsters of Rock Cruise! Frankie Banali inducted into "Rock Godz Hall Of Fame"